"ALL GOOD NEWS" is a first-time offering and Limited Edition compilation of Susan's original, handwritten, "snail-mail" WILLARDS (Susan's Newsletters) sent between October 1995 and January 2003. It's available exclusively here on our web site, and only via snail mail. Full color, forty-eight pages, soft cover, approx. 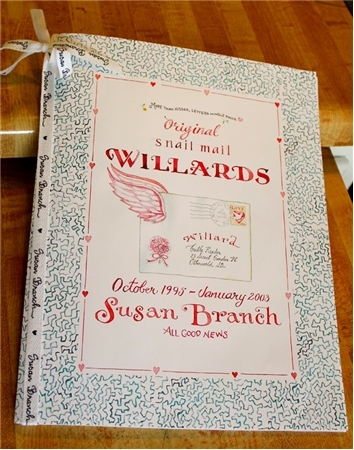 8 1/2" x 11" and tied with ribbon or twill; it includes the "story of Willard" with photographs from Susan's photo albums. A collector's item for sure!